A geothermal heat source called a mantle plume – a hot stream of subterranean molten rock that rises through the Earth's crust – may explain the breathing effect visible on Antarctica's Marie Byrd Land and elsewhere along the massive ice sheet. While the mantle plume is not a new discovery, the recent research indicates it may explain why the ice sheet collapsed in a previous era of rapid climate change 11,000 years ago and why the sheet is breaking up so quickly now. "I thought it was crazy. I didn't see how we could have that amount of heat and still have ice on top of it," said Hélène Seroussi of NASA's Jet Propulsion Laboratory in Pasadena, California. Seroussi and Erik Ivins of JPL used the Ice Sheet System Model (ISSM), a mathematical depiction of the physics of ice sheets developed by scientists at JPL and the University of California, Irvine. Seroussi then tweaked the ISSM to hunt for natural heat sources as well as meltwater deposits. This warm water lubricates the ice sheet from below, allowing glaciers to slide off into the sea. Studying meltwater in western Antarctica may allow scientists to estimate how much ice will be lost in future. The Antarctic's underwater systems of lakes and rivers fill and drain rapidly which can force surface ice to rise or fall by as much as 6 meters (20ft). The average thickness of the ice is 2.6km (1.6 miles) but can reach 4.7km in parts of the sheet. This motion allows scientists to better understand the underground topography and better estimate concentrations of water sources beneath the surface. The JPL scientists corroborated their work with readings from NASA's IceSat satellite and airborne Operation IceBridge campaign which observe variations in the altitude of the Antarctic ice sheet's surface. The team found that the geothermal heat emitted by the Antarctic mantle plume is up to 150 milliwatts per square meter. For comparison, over the entirety of Yellowstone National Park the underground heat measures an average of 200 milliwatts per square meter. During their initial work, Seroussi and Ivins created simulations using higher heat flows than 150 milliwatts per square meter, which did not align with their space-based readings, except for one area: The Ross Sea. Their calculations showed that, in certain sections of the sea, a heat flow of at least 150-180 milliwatts was required to create sufficient meltwater flows that matched with observations. They now believe the mantle plume is responsible for these higher-than-average readings. 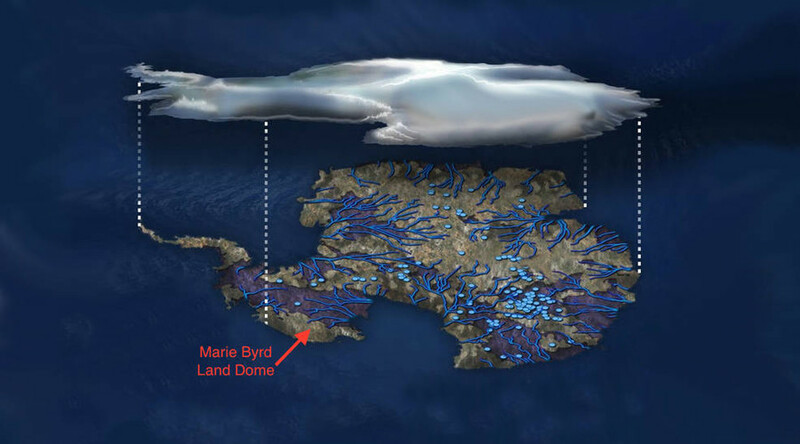 The Marie Byrd Land mantle plume formed 50 to 110 million years ago, predating the Western Antarctic ice sheet. 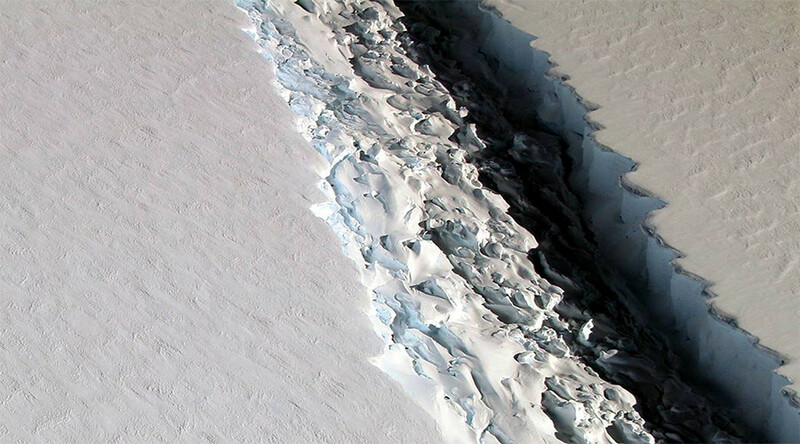 The mantle plume theory was initially proposed 30 years ago but other, competing theories suggested the sheer weight of the ice sheets causes melting deep below the surface.